Carrie Fogliani serves as Vice President and Deputy General Counsel at GeneralCounselWest, PC, and has nearly 20 years of experience working as legal counsel for some of the nation’s leading hospitals and pharmaceutical companies. Her practice focuses on transactional, operations and regulatory healthcare law. Carrie counsels our clients in privacy and security requirements set forth under HIPAA, Medicare and Medicaid billing and coding requirements, and fraud and abuse. She frequently negotiates managed care agreements with health plans on behalf of providers. In addition, Carrie creates and implements compliance programs, investigates compliance issues, and assists entities required to respond to government enforcement actions. Carrie’s practice also involves supporting clients through mergers and acquisitions from conducting regulatory due diligence to implementing post-closing integration. Prior to joining GeneralCounselWest, Carrie served as compliance officer for City of Hope, a nationally recognized center for biomedical research, treatment and education. She handled corporate compliance and ethics matters, oversaw the appropriate screening of employees, and managed employee compliance training. Carrie has also worked as in-house counsel for two major healthcare corporations: Tenet Healthcare and Amgen Pharmaceuticals, where she provided legal advice on a wide range of projects, including healthcare contracting and regulatory matters. After law school, she was an associate at the law firm of Foley & Lardner in the healthcare group. Carrie earned an LL.M in Health Law from Saint Louis University where she served as the staff editor for the Journal of Health Law. She has a JD from Loyola Law School in Los Angeles, where she was a member of the Italian Lawyers Association and the Public Interest Law Foundation. 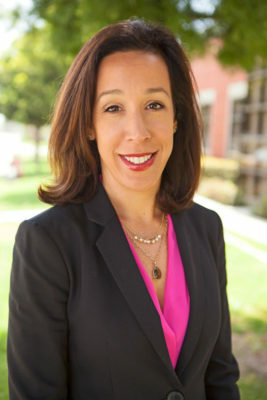 Prior to attending law school, Carrie received a Bachelor of Arts dual degree in Law, Letters and Society and Latin American Studies from the University of Chicago. At U of C, she received the La Mancha award for services to Casa Cornelia Legal Services. Carrie enjoys cooking, baking, attempting to train for triathlons all while spending time with her husband and three children. She is admitted to practice in California.